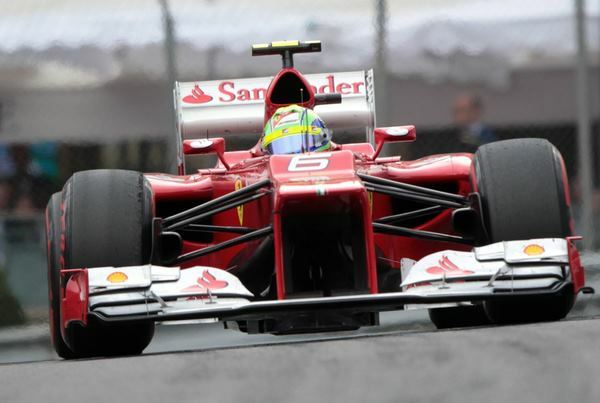 Felipe Massa as we know is a former world championship contender and former lead driver of Ferrari. The word “Former” is obsolete in F1; getting pushed on to the limit by media and even by the team you work on for the slightest of mistakes which can put you on a firing spot. What lingers on most people’s mind is how your career ends and not how great it is; the kind of things that is happening to the Brazilian. Apparently Felipe has lost out comprehensively in the previous season. Right after his life threatening crash at Hungaroring in 2009 he has never been at his best. He has struggled to make it into Q3 – couple of seconds off from Alonso in Australia. Hoping to close gap new chassis were fitted to his car in Malaysian GP which had proven worthy but his race pace had been a questionable affair. His return of form starting to show in the opening practice for Monaco having knocked out of Q2 in every race running. It seems like he loves the streets of Monaco – completing FP2 at top of timing screen and being able to sneak into top ten in Qualifying. After all his return to form is a welcoming bonus for Ferrari which has been impacted hugely by his lack of point scoring finishes for Constructors’ title. He started alongside Kimi and looked comfortable with his wheel putting in some great laps to threat Hamilton. He locked down with Fernando for some point in the opening part of race . I’m sure Ferrari would be pleased with having him as a helping hand to lift the Constructors’ Championship and who knows by the way it goes he might envisage podium finishes in this year’s long season of thrilling racing. It is a shame he has never been given a real chance to shine. Maybe if Ferrari gave him a longer contract he would feel more secure and race better each week as opposed to worrying which leads to accidents and mistakes. Looking at it another way, I think a team is wrong to try to have 2 number 1 drivers. A team must get behind one driver to win and hope the number 2 driver finishes second or wins when the number 1 wins. I have never understood why a driver would accept a number 2 position…though there have been exceptions. When Eddie Irvine decided to race for Jackie Stewart and swapped seats with Rubens it made sense for Rubens. Jackie did not have a car that could do well, while the Ferrari offered him a chance at a win, or failing that a second place finish. But Rubens was not a number 1, he did well for Ferrari (as did Eddie), but even when he moved on to Brawn he was still number 2, with Button number 1. I do agree that since Massa had the accident he is not the same, but I feel Ferrari should stand beside him, as it was Ferrari he was driving for when the accident happened. But in motorsports, it is all about the win. Maybe Massa can pull of a win and keep his seat!